Earn $27.59 in Rewards credit (2759 points) What's This? 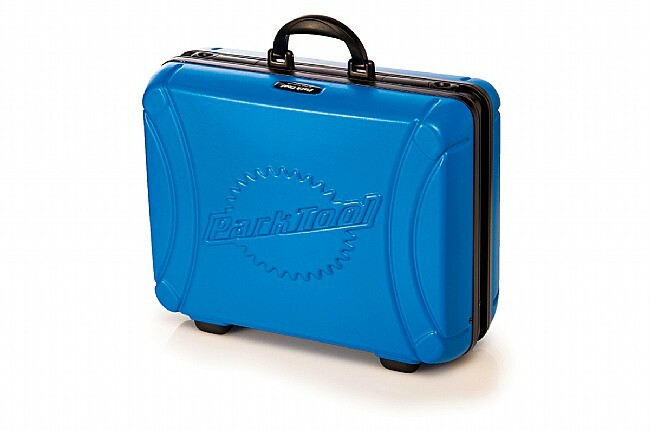 The Park Tool BX-2 Blue Box Tool Case is the ultimate case for the working professional and hobbyist alike. 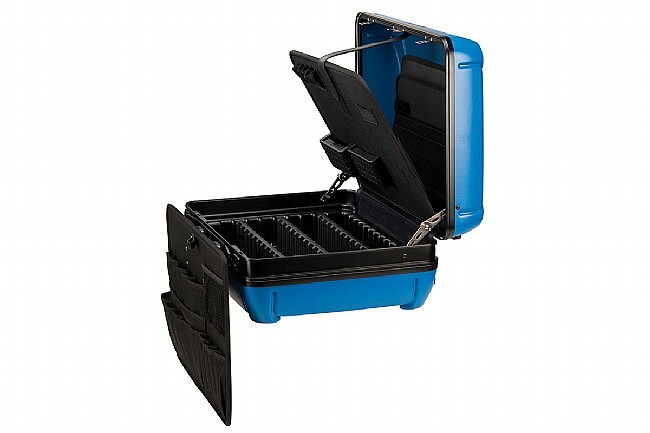 Featuring a nearly indestructible HDPE plastic shell, the BX-2 is reinforced with a super tough anodized aluminum frame. Inside, removable tool boards allow for up to 35 different tools in all the various pockets and straps. Plus, with four universal tool modules, the BX-2 will easily accommodate a wide variety of tools and tool shapes. Removable tool boards made with tough, durable 600D ballistic nylon sewn to the ABS inner panel. 35 tool pockets and straps, plus four universal tool modules. Customizable lower level with moveable partitions. Proprietary front hanging tool board.